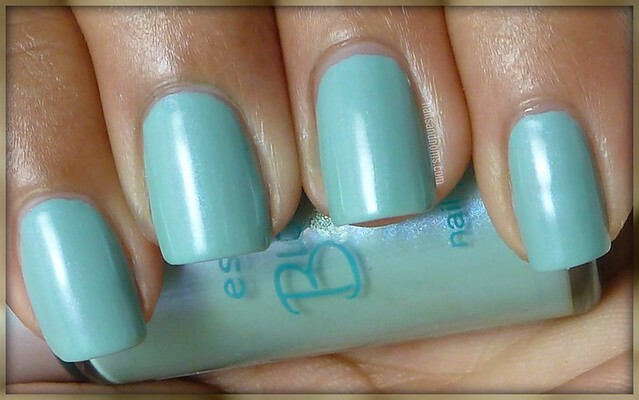 Please enjoy this guest post by my girl Rie from Nails and Noms! I was quite surprised and flattered when Kellie contacted me asking if I could do a guest post for her blog this week! Kellie's site was one of the reasons my polish obsession exploded, which eventually led to me creating my very own blog. :-D I racked my brain (and my polish collection) trying to figure out what I could share with you all and quickly decided on this lovely polish by Essence (a German cosmetic brand) that my friend Dana from Ohio sent me. 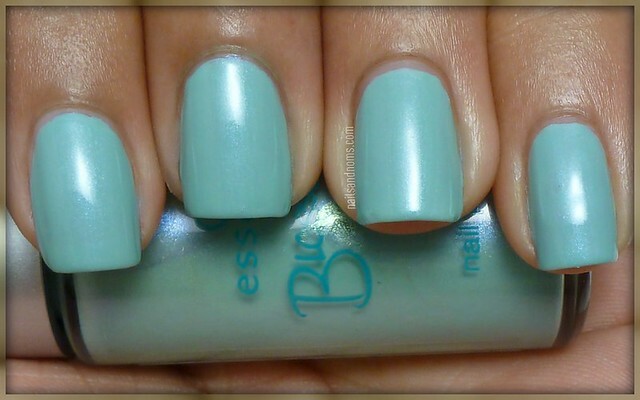 All swatches for this one are with Seche Vite top coat and Sally Hansen Nail Quencher base coat. Pardon my redundancy here, but I really like I Like... A lot. :-D With the wide brush I was able to cover my entire nail in one stroke, and pale greens like this make me weak in the knees. 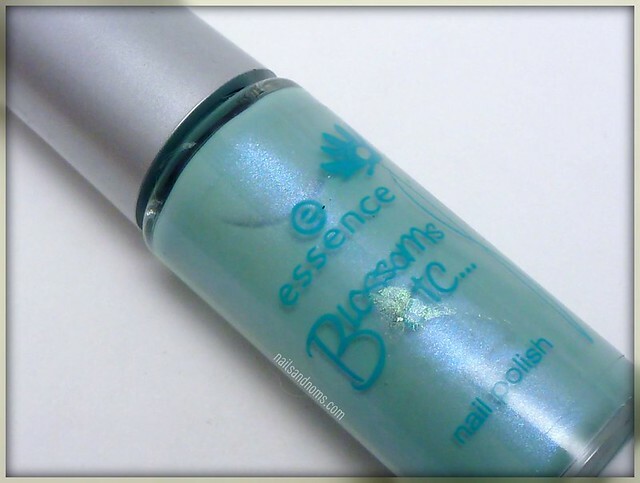 :-) I Like is part of the Blossoms Etc... Collection released by Essence this past April. 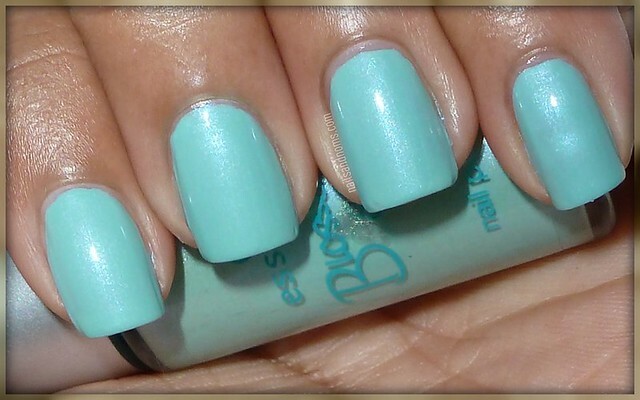 They are perfect colors for the spring, but I'll probably wear this one year round because I love it so much. My friend Dana found them at her local Ulta store, but I hear they are selling out quickly so if you want I Like or any of the other colors I suggest you act fast! Oh wow, how gorgeous is that polish? Thanks so much for sharing friend! ♥ This girl has a really awesomely fab blog and deserves more followers :) Go check her out mmkay?